After the first two successful Bitcoin conferences that took place in Prague in 2011 and London in 2012, it has been announced that there will in fact be two Bitcoin conferences taking place in 2013. 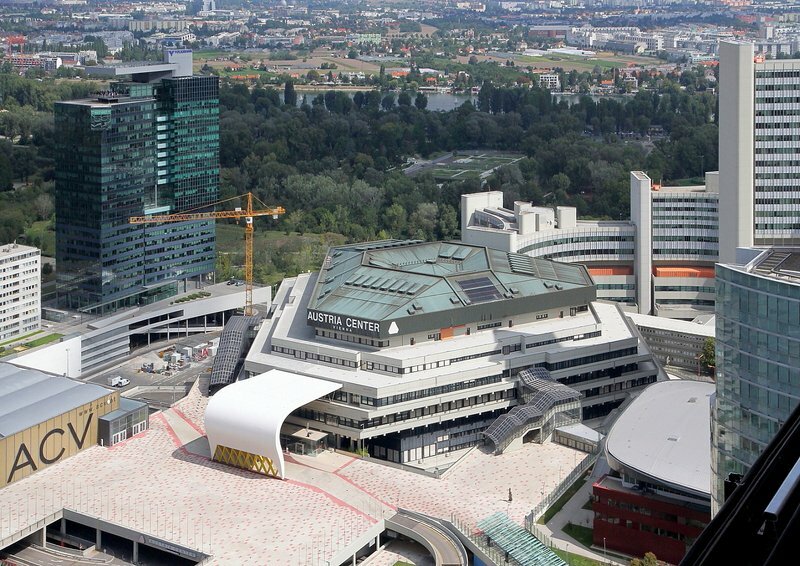 The first, entitled “The Future of Payments”, will take place in San Jose, California on May 17-19, and the second, named “unSYSTEM”, will happen in Vienna on 1-3 November. 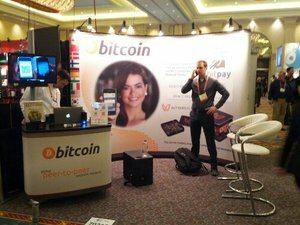 The two conferences will be in a similar format to those run in 2011 and 2012; they will both take up a weekend, feature a number of speakers making presentations on topics either related to Bitcoin or of interest to the Bitcoin community, as well as offer opportunities for speakers and attendees to interact; for the curious, schedules for the previous two conferences can be found here and here, and videos of individual presentations are also available from 2011 and 2012. The 2012 conference, organized largely by Bitcoin activist Amir Taaki, saw a significant shift in the range of topics discussed from that in 2011, featuring many speakers who were outside of the Bitcoin community entirely; free software advocate Richard Stallman, the pro-free speech Icelandic Modern Media Initiative’s Brigitta Jonsdottir, the free culture activist Jaromil and the leader of the 3D gun printing project Defense Distributed, Cody Wilson, were all among the speakers. A considerable number of Bitcoin developers and Bitcoin business owners, as well as others in the payments industry, but political activism was nevertheless a dominant message. This time, the two conferences have radically different themes. For the 2013 conference in San Jose, the Bitcoin Foundation is pushing back in the direction of a conference organized around Bitcoin specifically and the more pragmatic issues that Bitcoin is trying to solve; the four main topics listed on the website are Bitcoin technology, Bitcoin mining, Bitcoin business and regulatory issues. Unfortunately, no list of speakers is yet given; the Bitcoin Foundation is still in the process of finding people to speak. The unSYSTEM conference in Vienna, on the other hand, is pushing even further in the direction of activism. Of the sixteen speakers now listed on the site, only three are notable purely because of their work around Bitcoin, and the majority have nothing to do with the currency. Among these are Mitch Altman, inventor of the “TV-B-Gone” universal remote, free culture activist Nina Paley, democratic education pioneer Luis Henrique Fagundes and the Russian activist group Voina (“War”). Richard Stallman, Brigitta Jonsdottir, Cody Wilson, Jaromil and Max Keiser, who were all present at the London Bitcoin conference in 2012, are back, as well as Amir Taaki, who is organizing the unSYSTEM conference as well. Amir Taaki is known for his work on Bitcoin development, but has also participated in more direct forms of political activism, including a recent high-profile event in which he and a number of other activistssquatted an exclusive property in central London. Also from the Bitcoin community Joerg Platzer, owner of Room77, the first restaurant to accept Bitcoin in Berlin, and now the leader of a project to get a large number of restaurants in Berlin to accept Bitcoin, will be attending. A particularly notable upcoming speaker is the Silk Road, a black market offering thousands of illegal drugs using Tor and Bitcoin for anonymity. The idea of an illegal organization speaking at an above-ground conference seems counter-intuitive, but it can be done. The Earth Liberation Front, an eco-terrorist group, has an above-ground “press office” which is simply a media organization that reports on the ELF’s activities. The Silk Road may similarly have a liaison, or perhaps they may choose to speak by videoconference; Taaki writes that Dread Pirate Roberts confirmed Silk Road’s attendance, but details have not yet been decided. On the whole, the split into two conferences is arguably a positive one for Bitcoin. There are many in the Bitcoin community who are intent on pursuing the success that Bitcoin reached at the end of 2012 with WordPress accepting Bitcoin and Bitcoin Central working with a licensed payment services provider in France, and attempting to get Bitcoin noticed, and accepted, by even more prominent individuals and organizations in the world of finance and payments. To many of them, associating Bitcoin with political radicalism, particularly the sort promoted by Cody Wilson and especially the Silk Road, serves only to marginalize the currency. Others, however, are political activists first and Bitcoin users second, and want to see more of what we saw in London in 2012. Almost certainly no one will agree with the entirety of what is spoken at the conference; opinion on controversial issues like guns and economic regulation vary widely even within the sort of community that unSYSTEM is seeking to attract, and some issues may even see both sides presented outright. However, as a meeting of minds the conference will be an event from which all sides can benefit by participating. Practical information on attending both conferences has been posted, for the San Jose conference here and the unSYSTEM conference here. Both conferences are expecting a larger number of attendees than either of the conferences that took place in 2011 and 2012, and meeting the faces behind the most popular projects and services in the Bitcoin community has always been a key attraction of these events. Everyone is encouraged to attend, and those who have something that they want to present should contact the Bitcoin foundation here or unSYSTEM at their email address. Hopefully, these two conferences will be the greatest Bitcoin conferences yet!